Should Golfers Watch The Leader Board or Not? 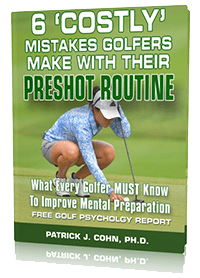 Can a Preshot Routine Improve Putting? Can Tiger Woods Learn to Trust His New Swing? Do You Know If You Have The Yips? Do You Struggle With Your Putting Confidence? Are You Stuck In The Yips Cycle?